A funnel (also known as a marketing or a purchase funnel) outlines the journey a customer takes before completing a purchase. St. Elmo Lewis created a model to describe the funnel process and called it Aida, which stands for awareness, interest, desire, and action. Awareness, the first part of the marketing funnel model, describes the moment that the customer becomes aware of a product or device. Interest is when the customer displays interest in the product. Desire is the moment the person wants the product. Action is when the customers completes the purchase of the product or service. As the years have gone by, the traditional funnel model has evolved to include many more parts and different models altogether. But the model’s purpose has remained the same; to understand and help improve the journey a customer takes when making a purchase. Case study: How designing a new funnel increased revenue by 65%. The funnel is important because it describes the customer’s behavior and interaction during the journey before a purchase. This is crucial information for a business to understand in order obtain the best results, including more sales. Understanding and tracking the customer’s journey through the purchase funnel will help to create a better marketing campaign and highlight areas needing improvement. 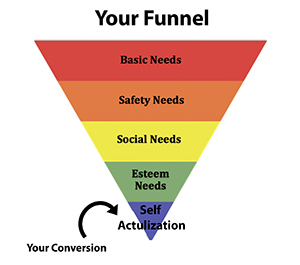 Learn about funnel visualization and other important metrics.